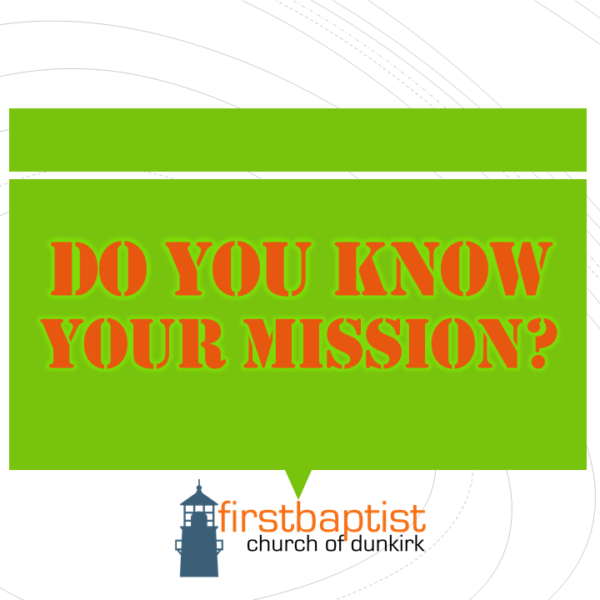 Home › Sermons › Do you know your mission? So as we see it, The mission of First Baptist Church is to develop missionary (or “on-mission) disciples who WORSHIP God, GROW spiritually, and SHARE the Gospel and their Spiritual Gifts. SHARE – We are called to share the good news of the Gospel and to share our spiritual gifts and abilities with our church, our community & the world. Your mission, should you choose to accept it, is to worship, grow, and share! Our mission as a church is to help, encourage, and train you to accomplish your mission. A maturing believer is one who seeks to glorify God, continues to move towards Christlikeness, and pursues other disciples to bring along with him or her. – Daniel Im, No Silver Bullets. How can you BLESS others with all that God has done for you? Do this with no personal motives. B Begin with Prayer I will pray for the people in my life and the places I go. Our ministry vision and focus is developing and encouraging missionary disciples. We want to see our discipleship focused on direction not destination. First Baptist Church is here to bring Glory to God by preaching His Word, and raising up a church full of disciples who want to bring Him glory as they make more disciples and accomplish the mission.